One of the most engaging and exhausting “wars” being fought by people today is on obesity. Results of the 7th National Nutrition Survey by the Food and Nutrition Research Institute of the Department of Science and Technology (FNRI-DOST) in the Philippines revealed that there has been a significant increase in the prevalence of overweight and obesity among adults. People are trying all kinds of methods of weight loss, from pills to diet drinks, exercise and good eating, to dangerous medical procedures. While many of these methods may be successful, being able to lose weight naturally is truly the safest way to meet a weight goal and have a body that is fit and healthy. However, the ability to lose weight naturally takes some time. What is the secret to natural weight loss? The secret to losing weight naturally all comes down to making some simple lifestyle choices. 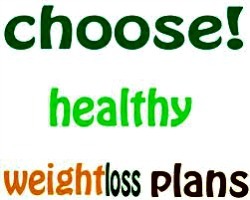 Such choices may include a small change in the diet by adding healthier foods like fresh fruits and vegetables, fish and dairy products like milk, while cutting out excess fats, sugars and salt, and engaging in some physical activities like brisk walking, jogging and swimming in the daily routine. Managing stress means an eight-hour sleep everyday which helps increase metabolism, allows food to be digested faster, and provides more energy. There are numerous weight-loss plans that are effective because they are built on some strategies for permanent weight management. - Start your day with a healthy breakfast that includes low fat milk, boiled egg, whole grain wheat bread, cereals and fruits. Many overweight people skip breakfast. Start living life like a thin person, and make breakfast a healthy habit. - Eat a variety of foods everyday! No single food can provide all the necessary nutrients that your body needs. Consume more fruits, vegetables and whole grains. Refrain from consuming processed foods like hotdogs, tocino or longganisa. - Eat with a sense of purpose: savor the flavors and engage your senses so that you truly acknowledge what you are eating. Avoid mindless munching that happens while you cook, drive or watch television. - Control your portions. Successful dieters don’t super size their meals. - Don’t try to manage your stress with food. Many people eat in response to stress. Unfortunately, food does not help you cope with stress. It simply adds calories to your daily food intake. Find a more effective alternative. - Read labels to determine the healthiest food options. Pay attention to the serving size and nutrient content like calories, fat, sodium and sugars. - Stay motivated! It is easy to fall off the wagon, but when you have a buddy to help and support you, it is easier to brush yourself off and get back on the plan. If you lose weight naturally, you’re rebuilding your body naturally from the inside out instead of just making some cosmetic changes to the exterior. Good nutrition and healthy lifestyle lead to a longer and happier life and losing weight naturally will help you achieve that goal.